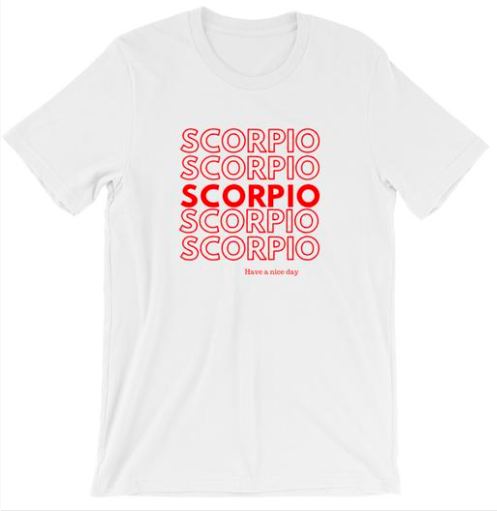 Scorpio Season ya'll. Place this underneath a jean jacket, zip up, or leather jacket for the ric flair. Whoo!